Do you or someone you know have an old barn or other structure that needs to be taken down but you don't want to see the materials piled up at the dump or in a burn pit? 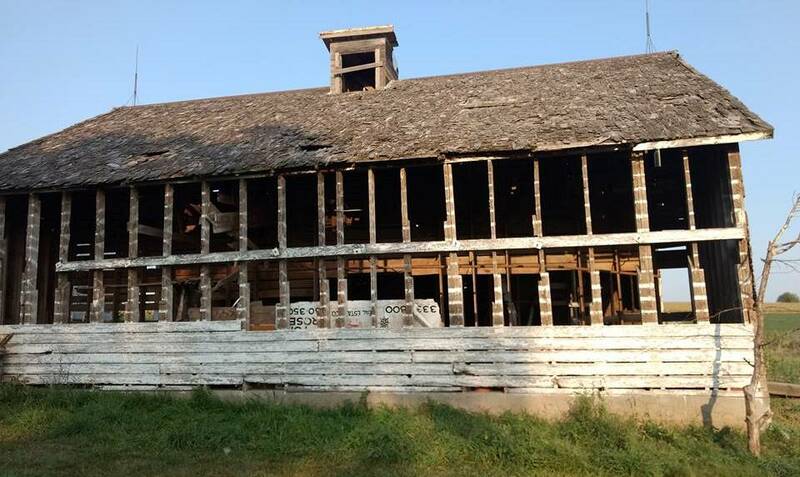 Please contact us if so, we would love to help preserve the old building one project at a time. Every one of our customers takes home a small piece of history with each one of our products. 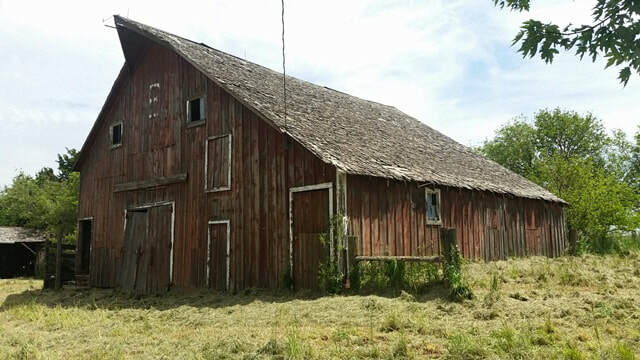 We purchased this corn crib from the farmer in March 2019 and plan to begin the deconstruction in the coming weeks. The exterior boards are really beautifully weathered grey and the entire structural portion of the corn crib is constructed from locally sourced cottonwood trees. 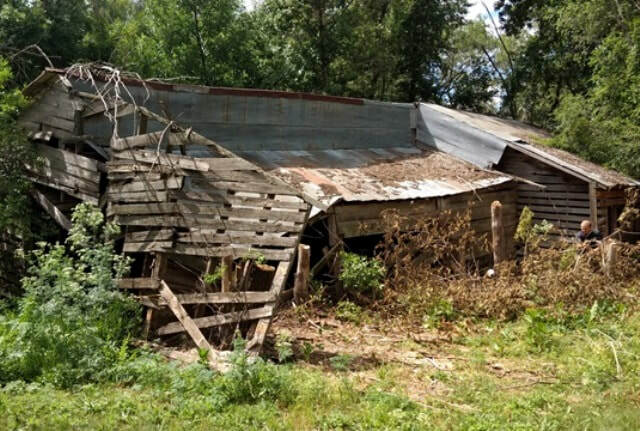 This is a Corn Crib on a family farm the was beyond repair. The family decided to have it removed and we were there to help. We made numerous projects from this wood while it was in stock. This barn had already been beaten by time before getting brushed by a tornado a couple years ago rendering it nearly unusable. The owner was going to tear it down and burn it, so we stepped in to try to save as much of the materials as possible.